Home / Bridge House – a big Thank You! 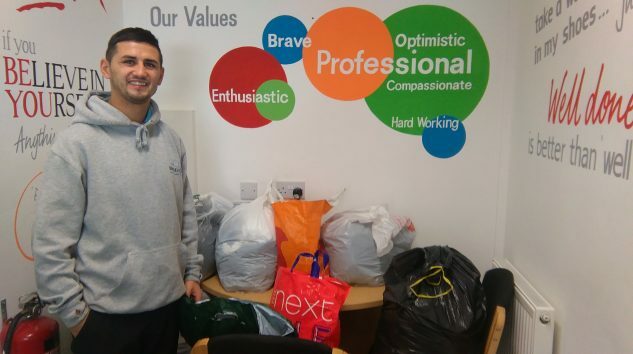 As part of a thank you to Bridge House Mission, who came into Saltburn Primary School to hold a very informative assembly around homelessness in July, children, parents and staff very kindly donated lots of much needed items to support the homeless service users at this Stockton based charity. On Saturday 22nd October Mrs Rayson took across donations of clothes, toiletries, tea, coffee and sugar all of which were gratefully received by all. As part of our on going support, Mrs Rayson is looking at a Christmas project to further support the charity, more details will be announced at a later date. We would like to take this opportunity to thank everyone for their donations, the help was much appreciated.